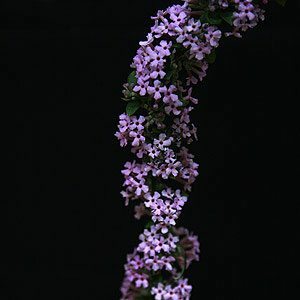 Buddleja (Buddleia) are a varied group of plants with a variety of flower and foliage forms. Over 20 species and 100s of named cultivars are available. Popular species include Buddleja crispa, salvifolia, the yellow flowering Buddlea weyeriana, and B. colvilei. Both deciduous or evergreen varieties are available with the deciduous species being a little more hardy in cooler climates. Coming from a wide range of climatic zones from the Himalayas through to Africa as well as some species from South America they do differ in care requirements. Dwarf varieties are also available that are better suited to smaller gardens and can be grown in containers if required. Some of the more widely grown Buddleja Varieties include those listed below. B.alternifolia – From Asia, this is a cold tolerant variety with an attractive weeping habit. B.colvilei — From Asia, this species with its large open flowers is cold tolerant and requires little care. B.crispa – From Asia, this is a drought tolerant species with attractive flowers and foliage. B.davidii – From Asia, along with its many cultivars this is by far the most popular species used in gardens today. B.fallowiana – From Asia, this is a deciduous variety, white flowering forms are available including B.fallowiana var.alba. B.forrestii – From Asia, this is deciduous variety. B.globosa – From North and South America this is one of the first species to used in gardens. B.glomerata – From Africa, this is drought tolerant variety with yellow flowers and silvery foliage. B.lindleyana. – From Asia, wonderful purple flowers, fragrant and an attractive weeping habit. B.limitanea – From Asia, this is a naturally smaller growing species with pale violet to blue flowers. B.loricata – From Africa this is shrubby plant, drought tolerant with cream coloured fragrant flowers. B.macrostachya – From Asia, this is a variety that will grow into a small tree, look for the cultivar ‘Fanispan’ for a smaller or dwarf cultivar. 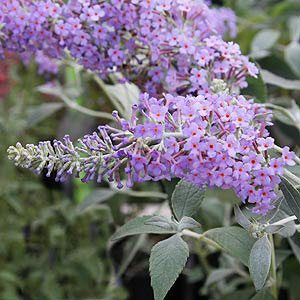 B.nivea- From Asia is deciduous in cooler climates, sometimes called the woolly butterfly bush. Grown more for the foliage than the flowers. B.officinalis – From Asia and in particular China where it is used for its medicinal properties in traditional medicine. B.salviifolia From Africa, this is commonly called the Sage Bush or Winter Buddleja. Fragrant pink flowers in winter. B.sterniana – From Asia, the name is debatable, however it does have pale lavender coloured flowers and leaves covered with a white indumentum. Herbaceous perennial. Grass & prairie plants specialists. Mail Order & personal shopping. Specialist perennial nursery, new releases from international breeders, plants from quality brands - Australian Perennial Growers, Aussie Winners and Proven Winners, old favourites and collectables in 100mm pots. Available by mail order. Supplying NSW, QLD, VIC, ACT & SA.